What is the Steelplay Cross Drive? 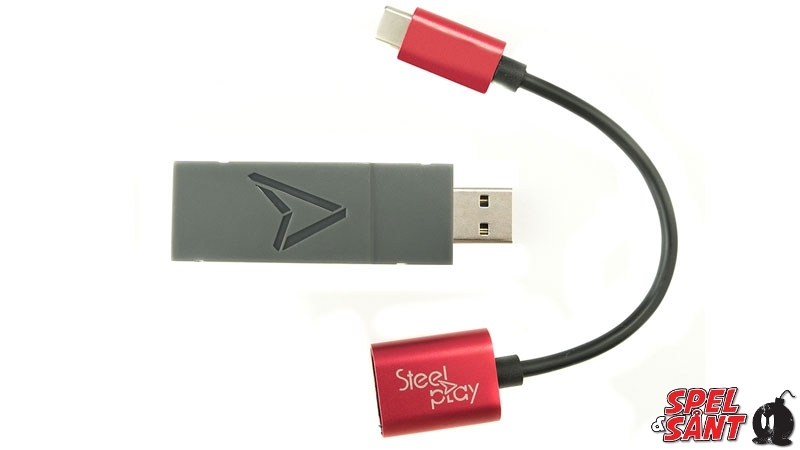 Steelplay Cross Drive is an adapter that allows you to use a controller on a console of another system. It connects the PS4, PS3, Nintendo Switch Pro, Nintendo Switch Joy-Con, Wii U Pro, and Xbox One S Bluetooth controllers to Nintendo Switch, PS3 and PC consoles. Wireless and easy to use, this Plug&Play adapter simply plugs into the console or PC. So PS4 gamers can now play on another console while maintaining the comfort of the controller they are used to playing. Wirelessly connect your PS4, PS3, Wii U Pro, Nintendo Switch Pro, Nintendo Joy-Con and Xbox One S Bluetooth controllers, Steeplay Wireless Controller (SwitchTM), Steelplay Pro Light Pad Controller (PS3) to your PS4, PS3 or PC system. 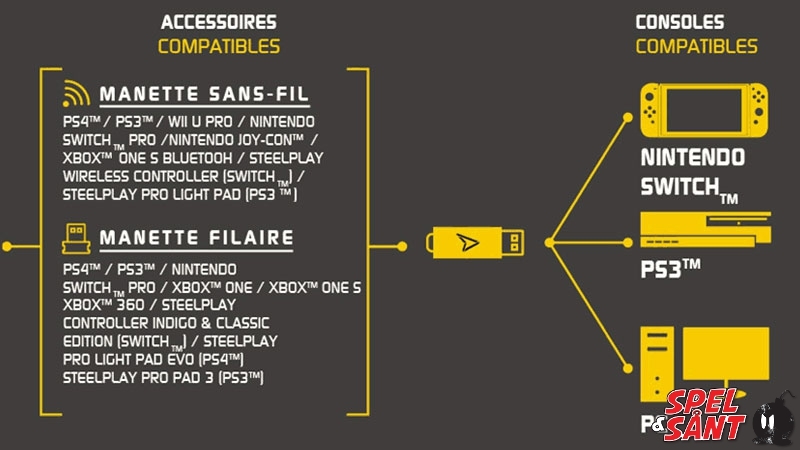 The wired PS4, PS3, Nintendo Switch Pro, Xbox One, Xbox One S, Xbox 360 controllers and fight sticks, and standard wired USB controllers like Steelplay Controller Indigo & Classic Edition (Switch), Steelplay Pro Pad 3 Controller (PS3), Steelplay Pro Light Pad Evo Controller (PS3), Logitech rumble gamepad F510 and F310 can be connected to your PS4, PS3 and PC system.